Colored Bauxite Aggregate is a mineral that has good content of alumina and is generally black, brown or grey in color. Colored Bauxite Aggregate is usually applied in areas where higher abrasion resistivity and anti-skid surface is required such as in sports courts and tracks, highway, etc. Our Colored Bauxite Aggregate is pigmented in red, blue, green and yellow colors. 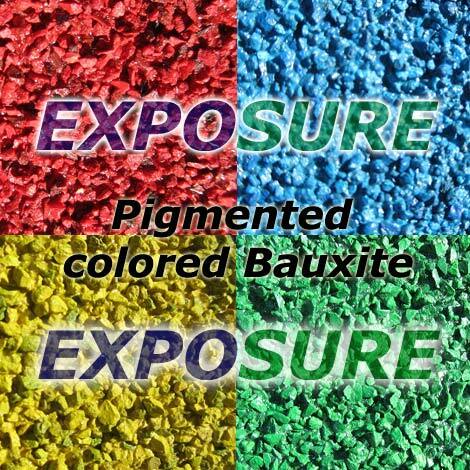 The particulate size of the Colored Bauxite Aggregate is 1-3mm.